Scotland captain John Barclay will make his long-awaited Edinburgh debut against Leinster at Murrayfield on Friday. An Achilles injury has kept the back-row sidelined since his move from the Scarlets. Barclay has been out of action since last May, but will make his comeback in the Pro14 encounter against the European champions. Centre Matt Scott will also make his first appearance since suffering a head injury against Toulon five months ago. 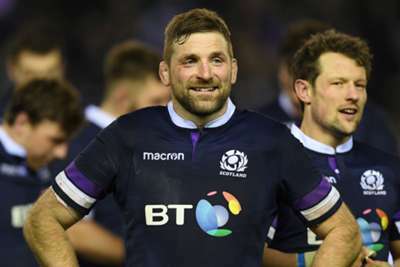 Darcy Graham, Hamish Watson, Ben Toolis and WP Nel come back into the side after featuring in Scotland's astonishing 38-38 Six Nations draw with England last weekend. Edinburgh head coach Richard Cockerill said: "It'll be good to have John back on the field and he can share his experience with the rest of the team. "He's a fantastic player and his leadership around the group and his knowledge of the game is very, very good, and that could well be important for us in the run-in."